Now I have to admit I see myself as a pretty big gamer and have been since the early 1980’s. So it is a bit embarrassing to have to say that I have never really played any Mega Man games and as I now know, there is plenty of them. Not really sure why I missed so much gaming goodness when I was younger but am regretting it now, mainly because now I’m older the reactions aren’t up to scratch for Mega Man and his pals. 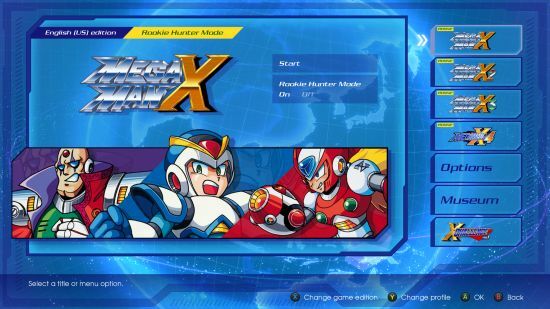 As per previously released Legacy Collections, all eight Mega Man X titles (four in each collection) are well presented with a plethora of extras and information that will please fans no end. For me, being a Mega Man newbie, it was nice to get some back story and history about the franchise, which I had know idea was so fleshed out. The extras even include an animated short story which is nice. Other options include original or enhanced graphics, window format, and thankfully a mode aptly called Rookie Hunter. Without this mode I wouldn’t have lasted more than a few minutes. Like I say, age has not quickened my reflexes. 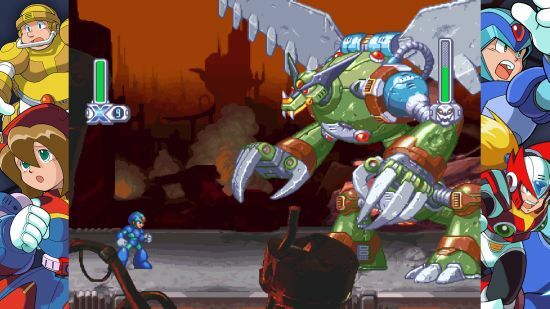 For the most part Mega Man X is a 2D side scrolling platform game with you controlling X, your Mega Man. 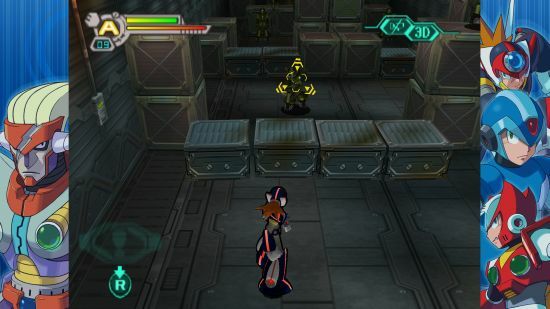 In some games you are given control of Zero and Axl to aid in the hunt of Mavericks, the name given to the boss enemies you aim to eliminate. Later titles in Legacy Collection 2 also have you playing in a 3D environment which was popular at the time of release on 32 Bit machines. But the 2D side scrolling action is where all the fun, and frustration, is. It is one thing that kids of today will never understand. The requirement to perform pixel perfect timed jumps while shooting. Fun? Not as much as I remember it being back in the day when such game mechanics were as common as todays Battle Royale mode. There are some pretty substantial upgrades available to X and friends to assist you in your Maverick Hunting and even the different abilities each character has can make some areas a hell of a lot easier. I just wish you had access to these guys in all the games. But I can see how one just has to revert to watching and learning old school style to win. After all, it is all about timing and accuracy. Even if the wall jumping is particularly painful to get use to. To be honest I probably didn’t get the full experience in the Mega Man X games thanks to pretty much switching on Rookie Hunter mode straight away. But if I hadn’t, I think I would have given up fairly quickly, and even needed a new controller. I love retro games and revisiting the past when it comes to games, but maybe this rose tinted love for the past really depends on you historical ties to the content. 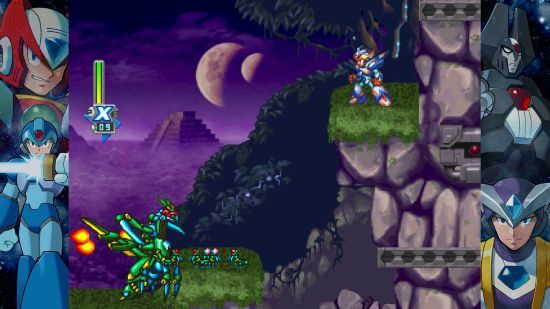 I found myself enjoying the Mega Man X Legacy Collection, for a bit, but not being engaged by it. A couple of difficult stages had me stop playing that title and moving on, not to return. 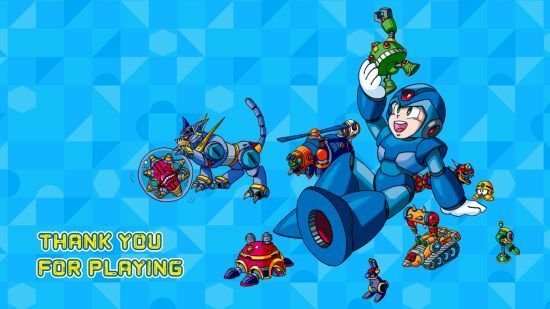 Don’t get me wrong, this is a well put together collection of classic titles with content galore but it might be that it is just for the Mega Man fans, especially with so much else out there. 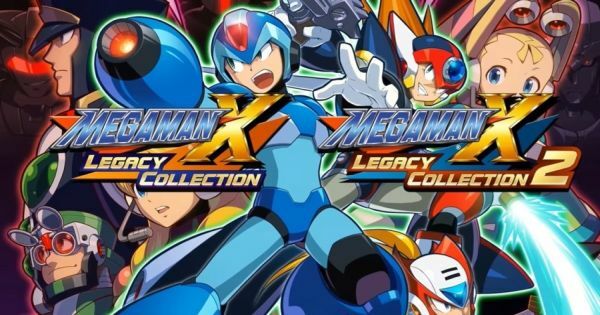 For those on Xbox One, Game Pass has the original Mega Man Legacy Collections so I’m guessing you may well see the X collections at some point. Until then, play the originals, learn the story, and see if you still have a controller for Mega Man X.